I created this page as an easy resource for you to find companies and products that I use and are of good value. This way you can find all these great products and services in one place, allowing you to save money and find great products all in one place! These are all courses and products that I have personally taken/use and have found to be invaluable to me. Each of these have proven to be an important investment in my life. Make Over Your Mornings: This is a course from Crystal Paine, from Money Saving Mom. It is a 14 day course that will show you, and lead you, into making the most of your mornings in a way that works for you! Since taking this course, I have been able to eliminate so much wasted time in my mornings. This course includes lessons, worksheets, and videos, and since it is only $17, it is also an incredible value. Find out more about Make Over Your Mornings HERE. Make Over Your Evenings: Also from Crystal Paine, this course is all about also streamlining your evenings, because really, your mornings and your evenings go hand in hand. In order to have productive mornings you must have productive evenings, and as I’m sure you can imagine the opposite is also true. This course also includes lessons, worksheets, and videos, and it is also a great value at only $17. Find out more about Make Over Your Evenings HERE. Living Well Planner: This is an amazing planner and the one that is like an appendage. It includes a focus on goals, a monthly budget, monthly, weekly, and daily pages, and it is oh so pretty. I have been a huge fan of this since it came out. It is one of the best investments you can make in being organized and efficient. Find out more about the Living Well Planner HERE. Mom’s Life Binder: This is a downloadable planner that has everything you need to effortlessly run your household. This is one of the two planners I use to keep everything running, and I love that it includes sections for meal planning, budgeting, and plenty of blank space for whatever I need. There is both a mom version and a homeschool mom version. Both are perfect for keeping you organized. 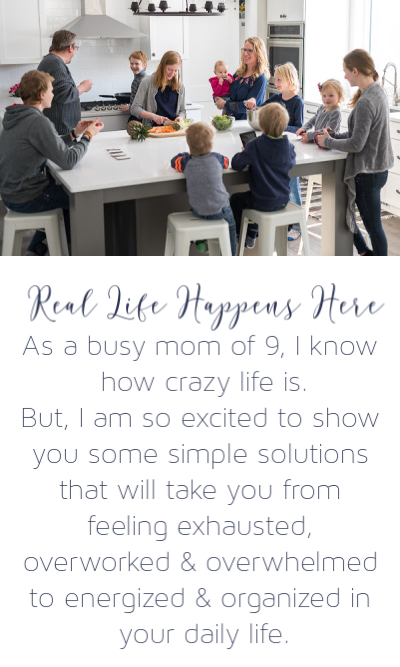 Find out more about the Mom’s Life Binder HERE. Grocery Budget Makeover: This course is from Erin Chase, of $5 Dinners. This is a ten week course that takes you through a 10 step process to cut your grocery budget in half! This course will lead you on a journey into the depths of your mind, your heart and yes, the grocery store too. There are so many invaluable tips, tricks, and tools in here that even taught this overly frugal gal a thing or two! There are three different options with this course, and there are lessons, worksheets, and videos as well. With a $39 audio version option, a $49 original option, and the $79 extreme budget, you are sure to find something to fit your needs and your budget! Enrollment only opens at certain times a year, but you can follow that link up there to get on the mailing list for when it becomes available again! Find out more about Grocery Budget Makeover HERE. How to Be Frugal: Did you know I have a course that teaches you all about saving money on nearly everything? From creating a budget to doing a pantry inventory, answering some heartfelt and honest questions about why you really spend money the way you do, creating a price log, learning the ins and outs of coupons, and also how to live a frugal lifestyle when you really don’t want to, this course has it all covered. With lessons, worksheets and downloads, and videos, this course is also an incredible value at $79. Find out more about How to Be Frugal HERE. MyFreezEasy: Erin Chase has done it again with her MyFreezEasy program. This program will help you create your own menu plans and give you everything you need to create 10 meals to get into your freezer in less than an hour. It’s a monthly service membership program, and with it you’ll get recipes tailored to your size family (even for my super-sized family), recipes, shopping lists, full assembly instructions to put your meal into the freezer and also to pull it out and use it. Numerous special dietary needs are addressed as well, and with basic and premium membership options either on a monthly or annual plan, you will find something that will work for you. This program is my new best friend and has saved me so much time and stress. *Don’t forget about putting it on your Christmas or birthday list…or giving it to someone you love for a gift! Find out more about MyFreezEasy HERE. Ebates: Ebates is a way that you can save and earn money doing what you already do – shop online – by earning CASH BACK…yes, a check! You only click on the store you want to shop at right from their site…Ebates earns money for bringing you there, and they give you a portion of that money back! I paid for Christmas one year using the cash back savings I earned throughout the year. It really is that simple. Find out more about Ebates HERE. Ibotta: If you’ve got a smart phone and can use it to take pictures, you can start saving money with Ibotta. It’s a coupon app right on your phone. You clip digital coupons on products you buy from their app, and then you take a picture of your receipt and the barcode of that product when you get home. Voila! You’ve just earned cash back with Ibotta, which you can then cash out right into your paypal account! It’s so easy and can really add up over time. Find out more about Ibotta HERE. Bluehost: If you are ready to launch a blog or are looking for some great hosting, Bluehost is just what you’ve been looking for. I used Bluehost for more than a year, and my blog never would have gotten up and running if it wasn’t for their amazing customer support that talked me through numerous issues. Their rates are amazing, and in my experience, their customer service is second to none. Find out more about Bluehost HERE. 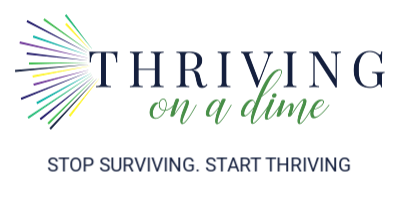 Elite Blog Academy: This course is created by Ruth Soukup, of Living Well Spending Less, and it is an awesome option if you are looking to taking your blog to the next level. Filled with instruction, videos, worksheets, and an interactive community, my blog wouldn’t be what it is today if I had not taken this course. Enrollment only opens at certain times a year, but you can follow that link up there to get on the mailing list for when it becomes available again! Find out more about Elite Blog Academy HERE. Inspired Bloggers University: My blog would also not be what it is today without Tabitha Philen and Inspired Bloggers University. She had a ton of individual products and courses available, but as someone who has a lifetime membership I can personally say that it is worth its weight in gold! There is so much to see on the IBU site. Take a peek. Everything is top notch! Find out more about Inspired Bloggers University HERE. Blog Success Planner: This is the only way that I can keep track of everything associated with my blog, and I mean everything! It’s like a course all on its own, but this is what you need if you’ve got a blog of any kind! Find out about the Blog Success Planner HERE.